These two are sisters. 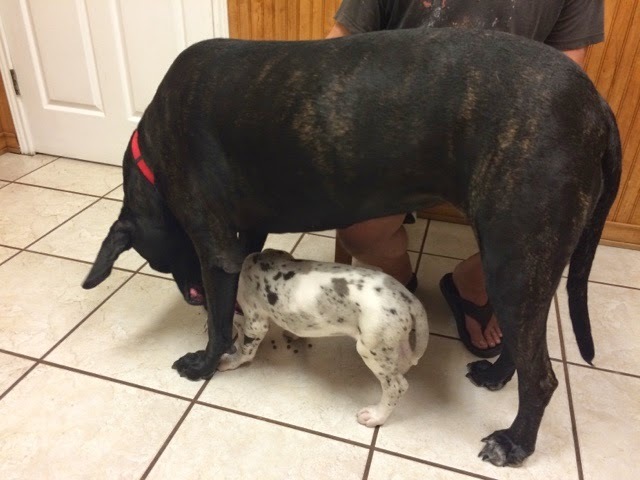 One a mastiff and one a Great Dane! The little one won't be a shadow for long!! !